Tilter doors don't just protect the contents of your garage, they become a standout feature of your house. A tilter door is a single solid piece tilting panel that pivots with the use of arms fixed to each side of the door. The arms lift the door outward and upward until the door reaches the fully open position. Tilt doors can be covered with almost any material, making them a statement and an expression of style. 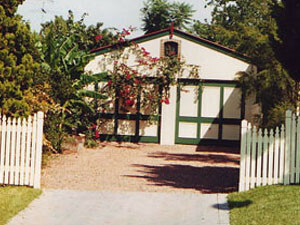 A tilter door has two major advantages over other types of garage door. The way in which a tilter door operates requires very little headroom when the door is open. Other doors require larger amounts of headroom, causing you to lose space at the top of the room and consequently limiting the height of vehicle that can be stored. The other advantage is their versatility. A tilt door can be finished in almost any material, pattern or profile. For those that prefer the look of a sectional door or roller door, a tilter door can be manufactured to look mimic one while maintaining the functionality and convenience of its tilting action. E.S.S. 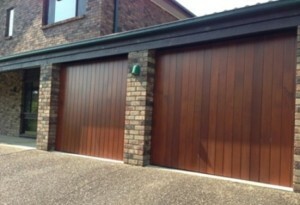 Garage Doors is a leading authority in the installation of repairs of tilter doors throughout Sydney. We have an efficient set up for quick installation of all types of tilter garage doors, and can supply and install the equipment to automate them. E.S.S. Garage Doors has been in the industry for over three decades and has been reliably catering to the needs of hundreds of homeowners and building owners for quality garage doors that provide protection as well as convenience. The company takes pride in the fact that highest standards are maintained in installing every garage door for all our clients. At E.S.S. Garage Doors every team member strives to ensure that you get nothing but the best. The fantastic look of genuine Cedar with the strength of being fitted to a galvanised steel frame. The look of quality will enhance every home and give them that "Executive" look.